1. 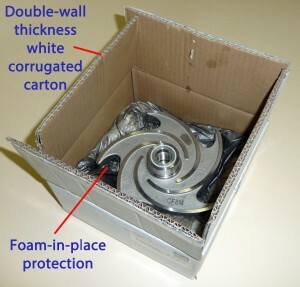 All STG supplied ANSI pump parts are provided in double-wall white corrugated cardboard boxes. No more “rice paper” boxes. 2. All pump parts are foamed-in-place. This is the ultimate protection for these heavy, unwieldy items. Packages stand straight and can be stacked without leaning. 3. 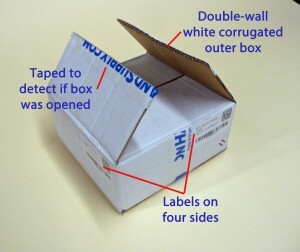 All boxes are taped. You’ll know if the box has been opened. 4. Labels are on multiple sides. You could lose one label but you won’t lose four of them!